A VPN, or virtual private network, is a common way for organizations to grant their employees access to resources on the company network that are normally only accessible from within the office. With a VPN connected, you can access network drives just as if you were inside the office network, which can make working remotely a breeze. 1. 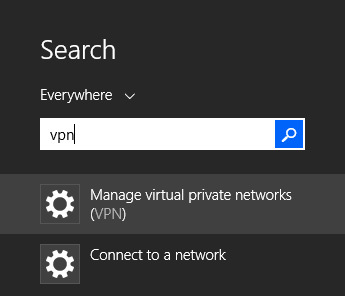 From the Start Menu, search for VPN, and click on Manage virtual private networks (VPN). 2. 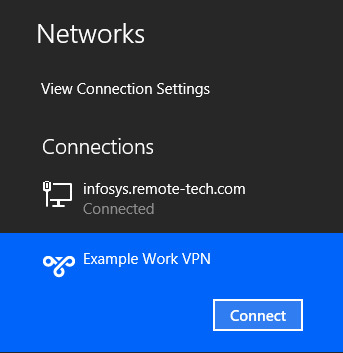 In this next window, click on Add a VPN connection. 3. 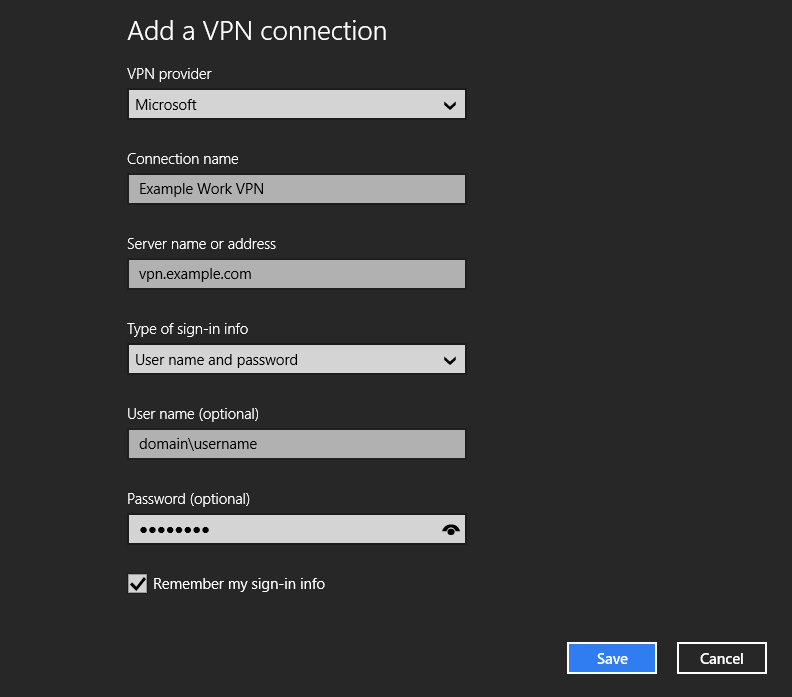 In the VPN provider field, select Microsoft. In the Connection name field, enter the name that you want to see to identify this VPN. In the Server name or address field, enter the address that was provided to you (typically "vpn.something.com"). Keep User name and password as the Type of sign-in info, and then enter your domain\username and password if you would like your credentials to be saved. 4. Once you have clicked Save, the VPN connection will appear in the list of available VPNs. 5. From the system tray on the task bar, click on the Networks icon. 6. Select the desired VPN connection and click on Connect. 7. 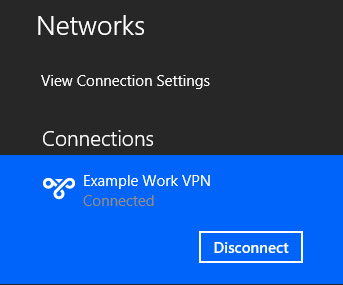 When you wish to disconnect the VPN connection, go back to this menu and click on Disconnect.